I have always enjoyed sending and receiving Christmas cards. I feel like it is something special that I can do to be able to connect with friends, family, and even those who I am acquainted with in business. I have connections in all different parts of the world and I don’t always get to stay connected throughout the year. But when it comes to Christmas, I always like to keep everyone up to date by sending a photo Christmas card of me and my family. A photo card is great because everyone can see what we look like and how much our children have grown, especially those who don’t get to see us in person on a regular basis. 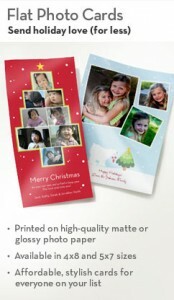 This year I ordered from Shutterfly.com. They had a sale go ing on over the Black friday weekend for discounts up to 30% plus free shipping. I was able to order 125 photo Christmas cards for only $65.00. Each card wound up being .52 cents each and they come with envelopes with is a plus. I got my cards in the mail the other day and they came out great! I adress my envelopes by hand, but I am really beginning to think that I need to come up with a labels list next year to make things easier on me. 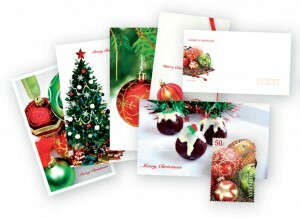 What do you think about Christmas cards? Do you send them? How many do you send? Do you use photo cards? Do you hand write the addresses or use labels? I love sending and receiving cards. The entire process gives me such pleasure. I just did mine on Shutterfly yesterday, 75 of them. We have traditions every year, hang the cards we receive and the kids always make us guess the chocolate of the day behind the advent calendar. All good stuff! I agree with you, but they can get expensive with postal rates always rising so I limit the # we send to 50. Leslie´s last blog post ..Oh- Christmas Tree…!!! Gosh yes! I send cards every year and each time I try to do something unique with them. This year I got some with my kids picture from Tiny Prints.. last year I included a Christmas Poem written by me. It is kinda sad that I don’t receive very many though. LOL! It is so true. I just commented on another commenter’s post and mentioned that the business of life seems to get in the way of the whole Christmas card thing. Who has time anymore when everyone connects digitally now-a-days? But I think it is super important. We have family and friends all around the world and it feels good to be able to send them a Christmas card with a recent photo of us. And we tape our cards across the top of our tv cabinet in the living room. I love looking at them.